When it comes to race proven performance, there is no other stand-up watercraft that can match the reputation of Yamaha’s legendary SuperJet. As the number one best-selling stand-up watercraft of all time, the SuperJet continues to be the machine of choice when it comes to championship closed course racing and freestyle riding around the world. Powered by a race-bred, 701cc, two-cylinder, two-stroke high-performance engine, the SuperJet produces exceptional power and acceleration. The sleek, race inspired hull – designed in consultation with world champion racers – delivers razor-sharp handling and performance that leaves the competition in its wake. The SuperJet’s physically active style of riding builds fitness and strength, requiring the rider and craft to operate together in perfect harmony in order to master this craft. 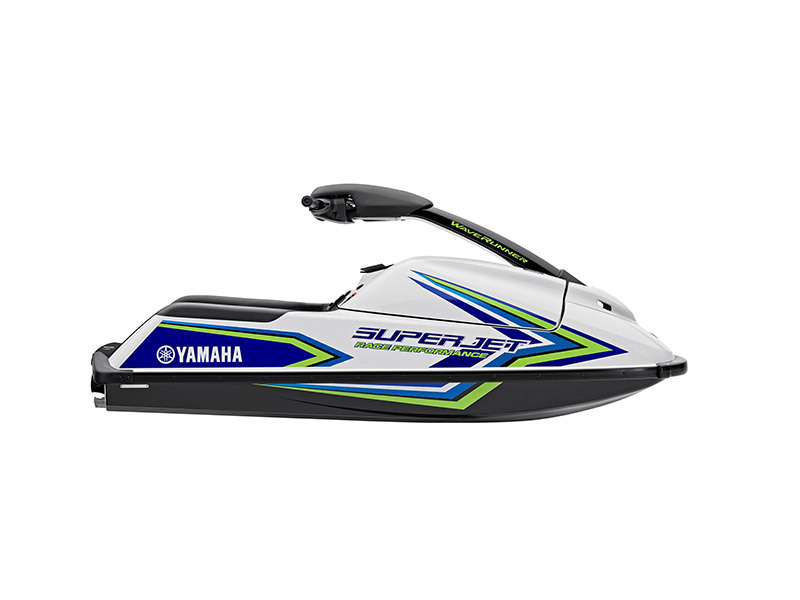 For pure water sport excitement, nothing matches a Yamaha SuperJet. *Due to new 2-stroke emissions laws coming into effect in Australia, 2018 will mark the end of the SuperJet in the Australian market.